Leading by example or led by the culture? In what is turning out to be a bit of a thread on Insights Based on Freelancing at Other People’s Agencies, I’ve been thinking about agency cultures (and their related positionings) recently. 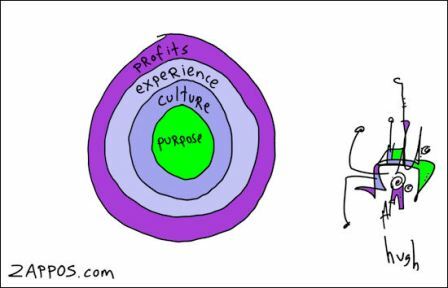 Whatever the HR experts might say about employee led or even customer led cultures and about organisations focused on customer needs, in the small world of agencies (and in my experience), it mostly reflects what is going on at the top. Describe an agency and their culture and (unless it’s some remote outpost of a multinational) I bet you’re describing the MD. And it’s not just relevant in my Regional world where most MDs or CEOs are either the founder or MBO’d their way to the top. Take Wieden + Kennedy. Most of what I know about W+KLondon is based on reading their blog, the trade press and the odd mate who knows someone who works there. But I get the feeling that the risky, full-on ethos of co-founder Dan Wieden is alive and well in (almost) everything they do. On a more local level, I could tell you about the hardworking-but-just-one-step-behind agency, the we-know-we’re-great agency and the where-traditional-and-digital-bang-heads agency. And in every case, the head honcho seems to embody that mindset. For me, the interesting question in the case of agencies that have been around for a while is what came first – the agency culture and positioning, or the leadership style?